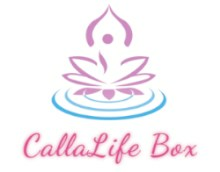 CallaLife Box is Canada's newest women's monthly subscription box. We focus on Health, Beauty, Well-Being and Lifestyle. Each month we send out an array of products (5-8) to help make your month a little more beautiful. We do our best to search out products that are Canadian made and that contain little or no harmful chemicals. Some companies that we have worked with in the past include, Paterson's Cabin, NaturaSoy Candles, Nature Note, Three Farmers Chickpeas, RDevine Skincare, etc!